It always seemed the overclockable Core i5 8600K would be the Intel Coffee Lake CPU that would steal my gaming heart. But now that the vanguard of 8th Gen Core CPUs are out, with the Core i7 8700K and i5 8400 bookending this Core i5 8600K, I realise the error of my ways. And once the AMD Ryzen 2 CPUs launch I’m betting this chip becomes even more irrelevant. 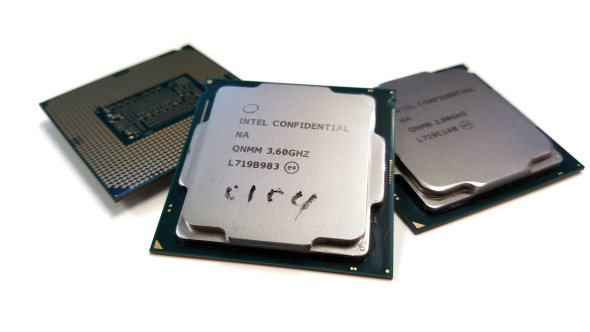 The Core i5 8400 has turned out to be the go-to gaming CPU of this Coffee Lake generation, thanks to its six-core configuration, impressively high Turbo clockspeeds, and overall performance that puts it on par with Kaby Lake’s top-end Core i7. 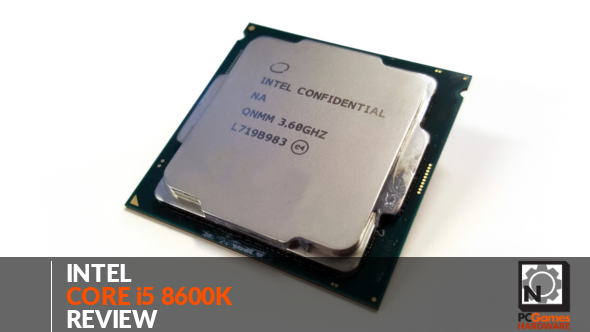 The more expensive Core i5 8600K, on the other hand, offers very little else. It’s another straight, non-HyperThreaded, six-shooter processor, with the same amount of L3 cache as the cheaper Core i5 8400, a higher TDP, and far higher overall Turbo speeds.Its big claim to fame, however, is that it has some rather incredible overclocking chops too. I’m no pro-overclocker; Load Line Calibration still confuses me and VDroop sounds more like an STI than something that’s going to make my PC better at that computing stuff, but even I was able to get the 8600K running at a heady, stable 5.1GHz. Given the Kaby Lake Core i5 7600K could also hit such speeds that’s none too exciting, but that last-gen chip was hitting 99°C under load, and you don’t need to be DeEightAuer to know that’s a little to toasty for comfort. But with the 8600K I was comfortably running at 5.1GHz with the chip only batting around the 83°C mark, and that’s with all six cores hitting that top speed. But for the games, overclocking simply doesn’t get you anything extra for the effort. Despite the fact the chip was operating at 1GHz over its rated all-core Turbo clockspeed that resulted in maybe an extra frame per second. But even that could just be down to general frame rate variance in benchmarking, because a couple of our benchmarks actually posted lower performance figures at that speed. What the extra overclocked CPU performance does get you, however, is a huge increase in the more focused processor-specific benchmarks. In our Cinebench rendering test the results jump by 27% and with the X264 video encoding run they go up by 23%. That puts them either on par with, or ahead of, AMD’s competing Ryzen 5 1600X chip, and that’s a CPU with double the thread-count of the Coffee Lake i5. And it’s this competition that the Core i5 8600K seems to have really been designed for. The i5 8400 will deliver you all the gaming performance we really need in our PCs, often beating the Ryzen’s in-game frame rates thanks to those superior Intel cores. So all the K-series chip can really offer is the sort of overclocked CPU benchmarking numbers to make AMD blush. Though, you can push the Ryzen 5 chips further again, and those extra threads once more give it the processing advantage. So where does that leave the Core i5 8600K? Well, despite the fact that you can get the same level of multi-threaded performance from a stock-clocked 1600X, and almost the same gaming speeds, you can bet people will still have the heads turned by that K-series moniker and the headline-grabbing 5GHz+ clockspeeds. But, for our money, if you’re after Coffee Lake’s straight gaming chops the cheaper Core i5 8400 will be all the chip you need. And if you want serious CPU performance then the extra thread-count of the competing Ryzen is probably a better bet.